Launched in October 2013 by Milica Jovanovic. 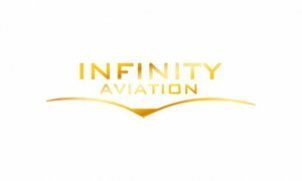 Infinity Aviation is a private jet operator, specialized in business aviation and aircraft management. We provide the highest level of aircraft service which is totally unique and specifically tailored to each client need. We are able to offer the highest level of air service and meet all your trip requirements. Our dedicated professional team will deliver 24/7/365 exceptional service which is based on professional ethic standard and the highest level safety and accuracy.